Liquid is an open-source template language integrated into Adxstudio Portals. It can be used to add dynamic content to pages, and to create a wide variety of custom templates. 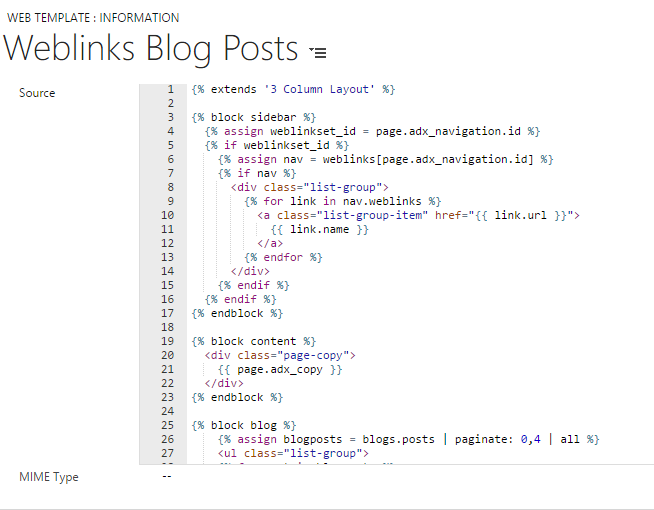 In this post, we’ll create a custom Page Template, using Liquid and a Web Template Page Template in Adxstudio portal. First of all we’ll create a base template which will provide breadcrumb links and our page title/header, as well as define our three-column layout. 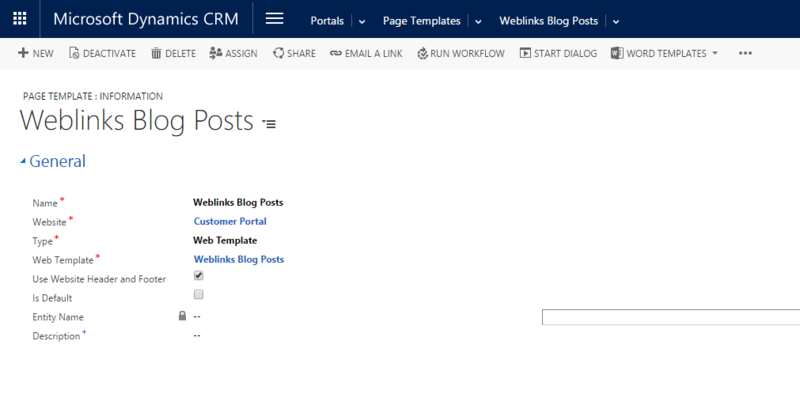 For this go to Portals >Web Templates and click New as shown in screenshot below. Now we’ll create a new Web Template that extends our base layout template, using the navigation web link set associated with the current page for our navigation links as shown in screenshot below. Next, we create a new Web Template Page Template that uses our Web Template. for this go to Portals > Page Templates and click New as shown in screenshot below. Now the last step is to create the Web Page that will use our template and associated web links set as shown in the screenshot. 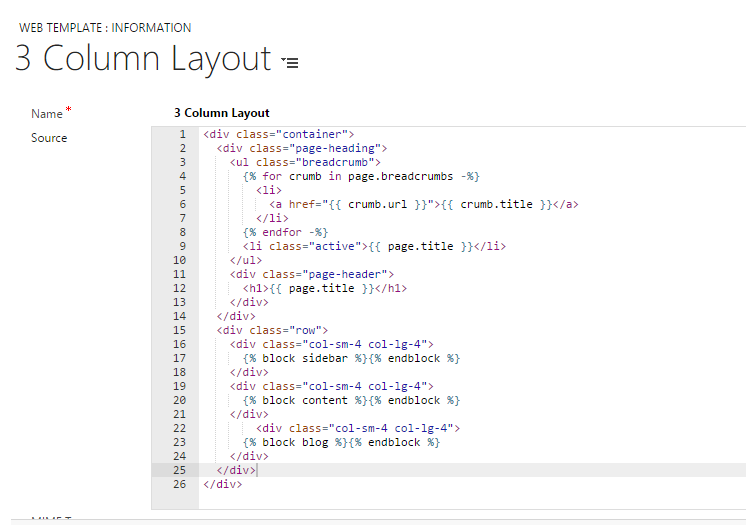 And that’s all you have successfully created a custom 3 page layout in Adxstudio portal using Liquid.